Winter . . . Brrrrrrrrrrrrrrrrrr. and delicious food every day of the year. When Portable Farms® Aquaponics Systems are placed inside a climatically adapted greenhouse or other structure especially with supplemental lighting, a year round garden/farm is entirely possible and will eventually/quickly pay for itself in cold climates. 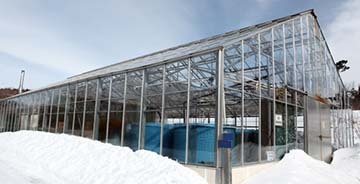 Please note: It is FAR EASIER to heat a greenhouse than it is to cool a greenhouse because the water in the fish tanks is heated to 80 degrees F and that keeps the plants warm all winter. In very cold climates, you may need an oscillating floor heater (the kind you use in a house or office on a cold day), to dump some extra heat in the greenhouse. For a successful Portable Farms® Aquaponics Systems installation to be installed in cold climates start by insulating the entire north wall and most of the north roof, insulating most of the east and west walls and insulating the first four feet of the south-facing wall to reduce the heating cost dramatically. Those surfaces do not have to be transparent and can be constructed with several inches of insulation. Supplemental heating can be as simple as several small space heaters placed near the floor. More elaborate gas heaters can also be used and will prevent any area of the structure from dipping below 40°or possibly freezing. We can assist you in designing your cold climate installation or any climate installation. Cooler temperatures inside the structure favor many kinds of greens so a temperature near human comfort level in ideal for many plants. Tomatoes will not set fruit if the temperature goes below 60° for even a few minutes each day. 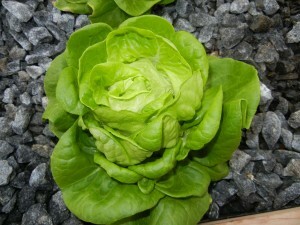 Some lettuces will not grow at all when temperatures go above 95° at any time. The aim is to have the interior of the structure remain within the range required by the plants being grown. 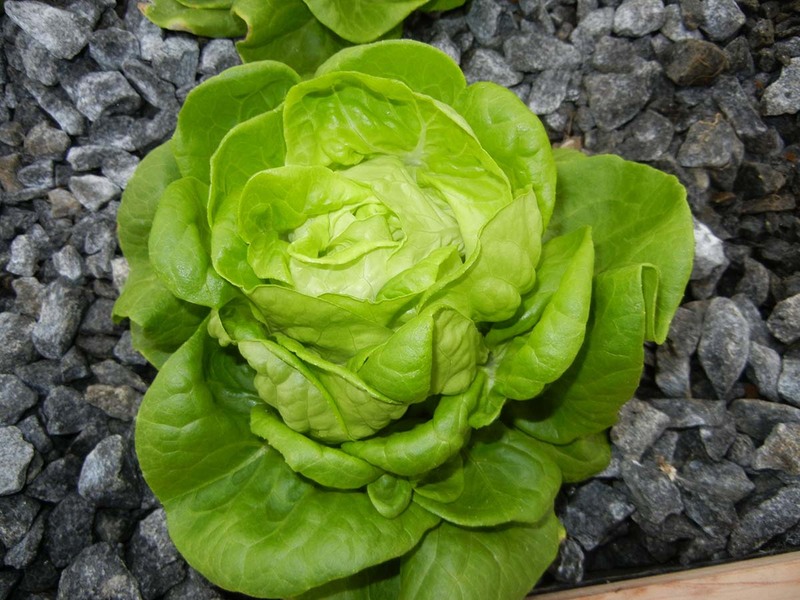 If you are growing only greens, you can allow the temperature to go as low as the high 40’s° at night. If you are growing tomatoes you will need to insure the temperature never goes below 60° at any time. With these very low temperature requirements, the cost of supplemental heating is dramatically lower than in ‘hot’ houses which keep the temperature in the high 70’s.